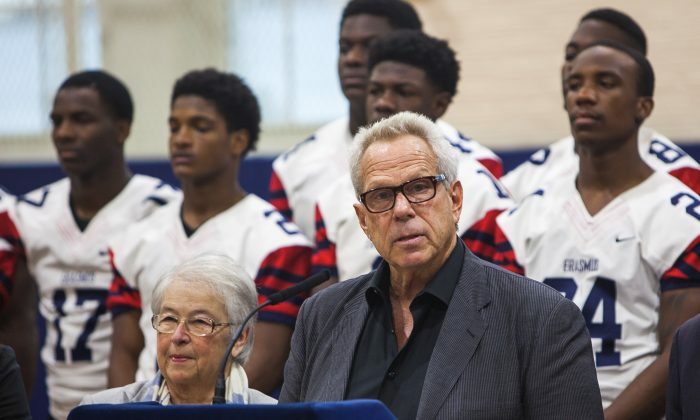 NEW YORK—Oscar-winning producer and New York Giants chairman Steve Tisch is giving 1.2 million to high school football in the city, hoping other donors will follow his footsteps. His donation will buy 53 trainers and emergency medical technicians (EMT) to oversee all contact practices for 3,500 football players on city high schools’ varsity and junior varsity teams for at least 2 years, Tisch announced Tuesday at Erasmus Hall High School in Brooklyn. Mayor Bill de Blasio, Giants’s wide receiver Victor Cruz, and several other officials joined Tisch. “Programs like this help these kids stay on the right track and get more kids to play football,” Cruz said. 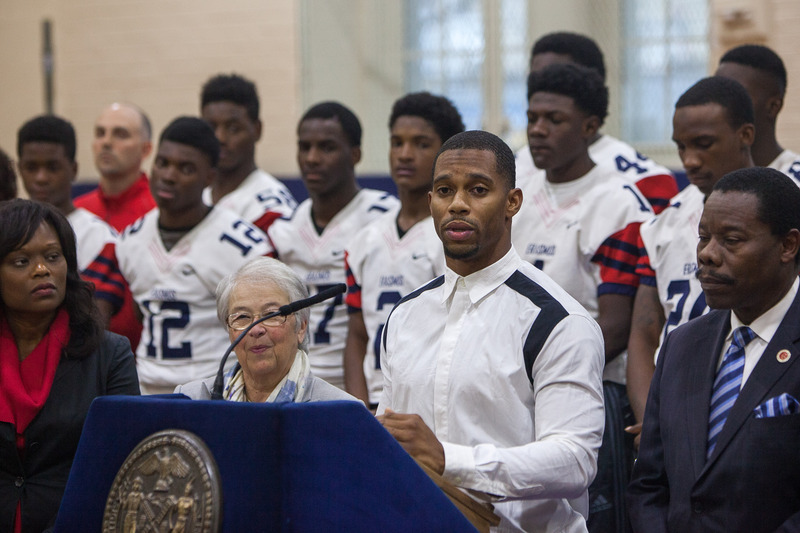 Football players from Erasmus Hall and Abraham Lincoln High School also joined the announcement. The teams will compete in the final of the Public School Athletic League playoffs on December 9 at Yankee Stadium.